Recently, my client asked me to ensure that the sales representatives would not be able to create tasks, however they should be able to get tasks assigned and work with them. On itself not a difficult request. But the next question was to not show the tasks in the work center views, as not to confuse the sales reps with too many navigation options in the navigation menu of C4C . 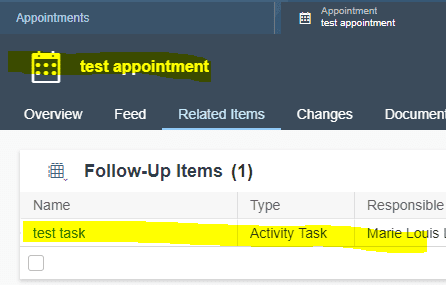 I was still under the impression that I could only do this in the business roles, but my challenge then was that when you leave out the Work Center View in the assignment in the business role, it would automatically also mean the sales rep would not be able to work with the task functionality anymore. So this was not the way to go. But then I learned about a new functionality from one of my colleagues, and although simple, I really like this functionality so I thought I would share it with you as well. 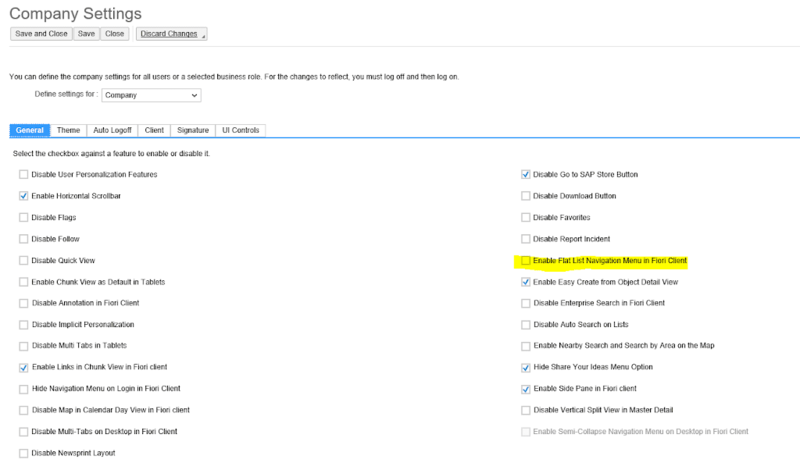 You will find this functionality under Administrator -> General Settings -> Organize Work Centers and Work Center Views. Here you can define per Work Center, which Work Center Views you would like the sales rep to see on his/her desktop and tablet or on his/her mobile phone. 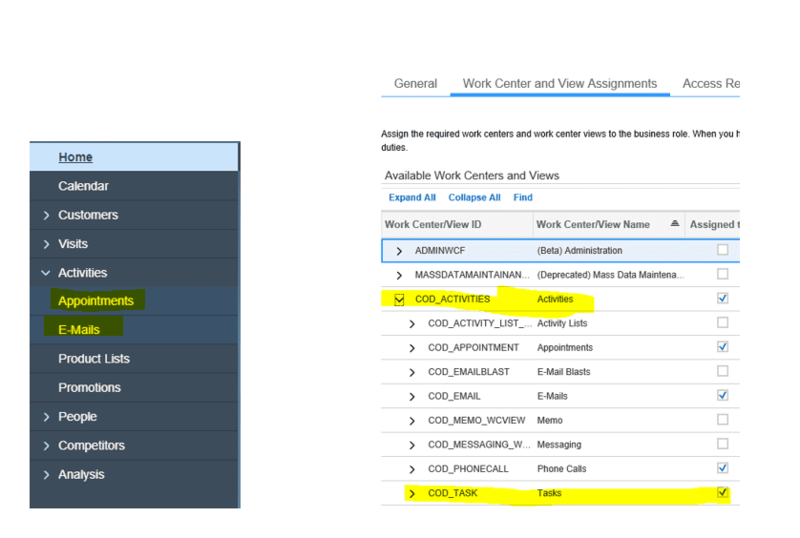 As you can see, in my example, I made sure that within the Work Center “Activities”, the sales rep would not see the Work Center View “Tasks”, without getting this out of the “Available Work Centers and Views” from the sales rep business role. 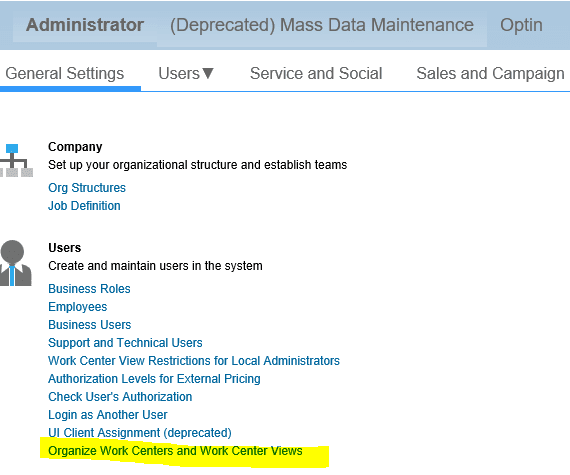 In your “Organize Work Centers and Work Center Views” view, you can now also organize the order of the Work Centers and the Work Center Views. Highlight a work center or work center view and click Up, Down, Top, or Bottom to rearrange the sequence. Hope you like this ‘easy read’ so close to the holidays.